Barbegazi are mountain gnomes: white-bearded, fur-clad, and stout atop huge feet (the name derives from the French barbe-glacée, or frozen beard). 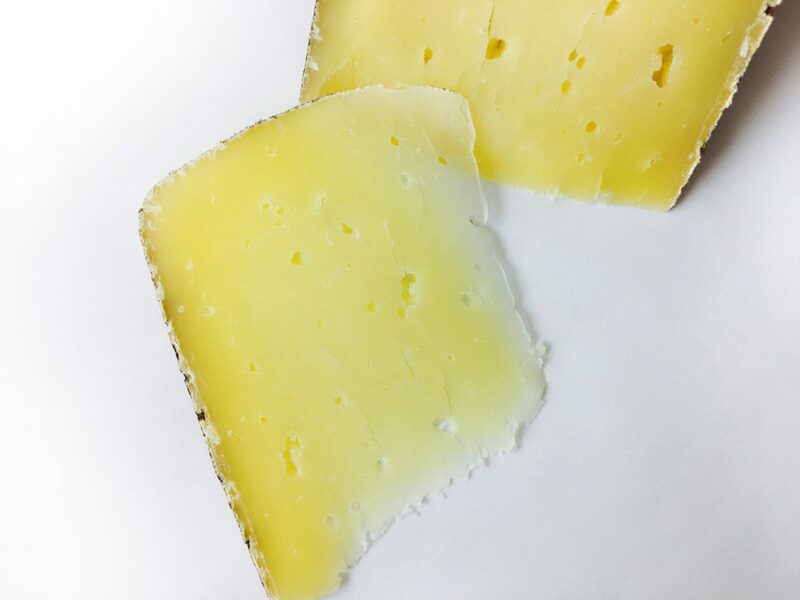 All of the cheeses produced at Fairy Tale Farm in Bridport, Vermont, are named after the impish spirits that animate their woodlands and pastures, titillating their flocks of sheep and goats. 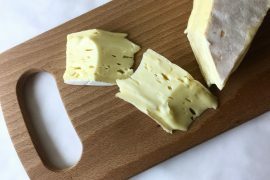 Cheesemaker Alissa Shether makes her Barbegazi cheese from raw Ayrshire cow’s milk sourced the Crawford Family Farm in neighboring Whiting, Vermont. She dusts the small Alp-style wheels with organic Lake Champlain cocoa powder, then ages them four or more months. Barbegazi’s rind is a dark fawn color, pitted and wrinkled with an impression of cloth. 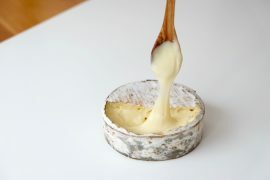 Just inside the rind the cheese is darker and more translucent, and it softens into a milky yellow paste pricked by propionic holes. The fragrance is cave-y: dark mushrooms and leafmold, plus the savory tinge of age. The texture is stiff and dry, a little waxy, and it chews down to a pleasant graininess. The initial attack is savory but it soon turns nutty, then sharp and piquant before fading into earthy forest floor. Salting is medium, and there is little hint of grass or flowers, possibly because this cheese was made in mid- to late winter. Although the Dutch-processed cocoa powder Shether uses on the rind seems to contribute little to the flavor profile, I wondered if its alkalinity might affect the cheese’s development. 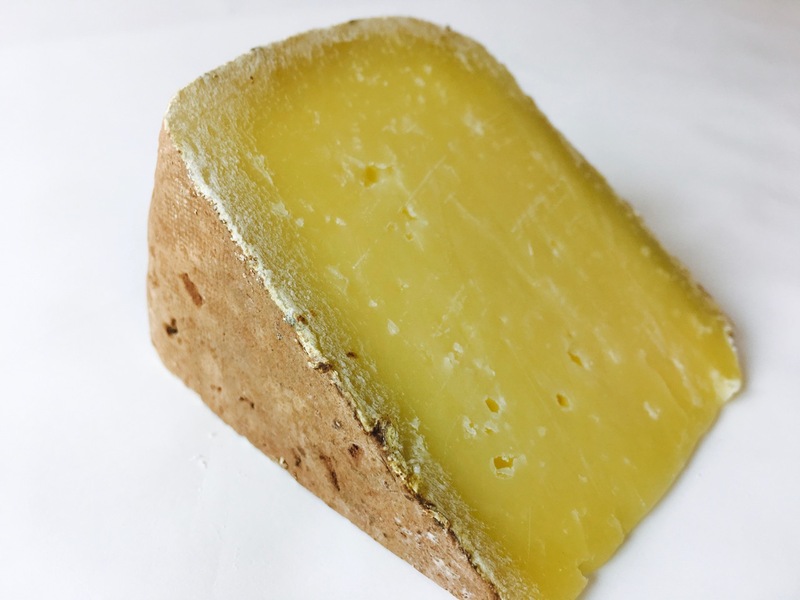 Within a few days of tasting this sample, I happened upon Shether at her booth at the Vermont Cheesemakers Festival in Shelburne and posed the question: she confirmed that it does. Barbegezi needs fruity red wines that will off-set its rich savoriness. Try Barbera, Frappato, or California Pinot Noir. 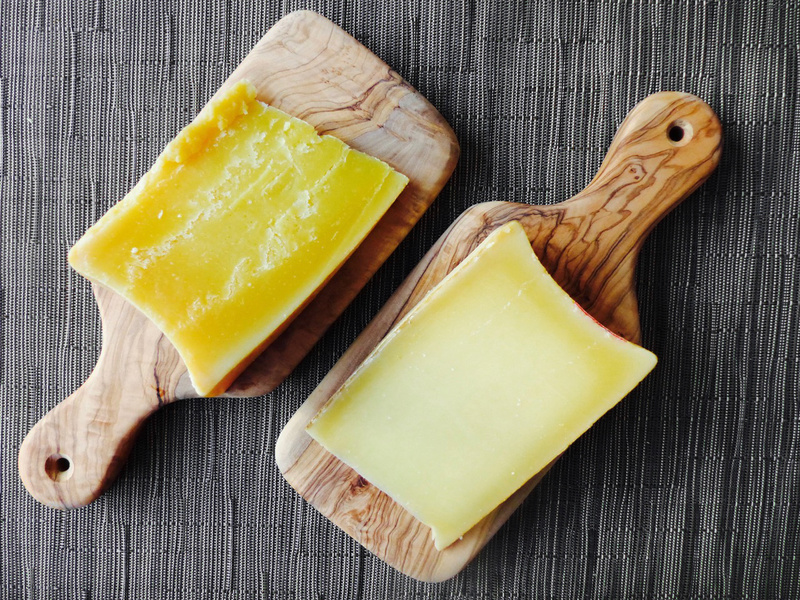 This cheese also works well with heavier rosé wines—think Tavel—and with peppery reds like Grenache and Zweigelt. Barrel-aged whites and those with a hint of age can match its nuttiness.